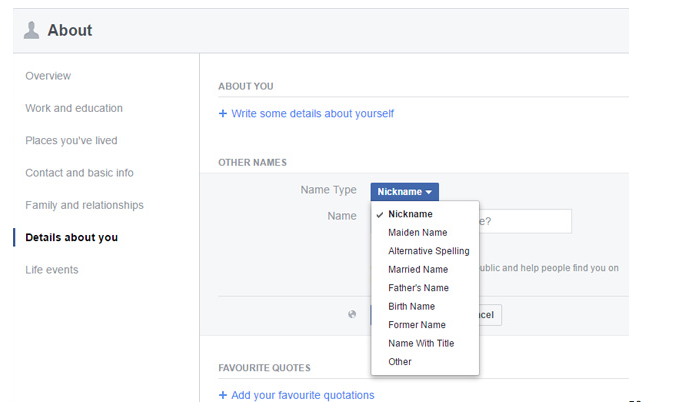 Add or change other names - Did you know that you can change your name on Facebook? This isn’t only handy if you change your name officially by deed poll, but also if you get married and take your partner’s surname. But be warned: you can’t keep changing your name willy-nilly. To find out how to change it, and for guidance on what not to do, read on.